Mission critical facilities — data centers being the most common example — are a vital piece of the commercial infrastructure in the greater Charlotte area today. We’re proud to count many of our local data centers among the many satisfied AirTight FaciliTech customers across Mecklenburg County and the surrounding areas, and we know that this segment of our customer base is going to continue to experience rapid expansion in coming years as more and more of our economy goes online. That’s why we’re always on the lookout for new, more effective ways to serve the commercial buildings we service. 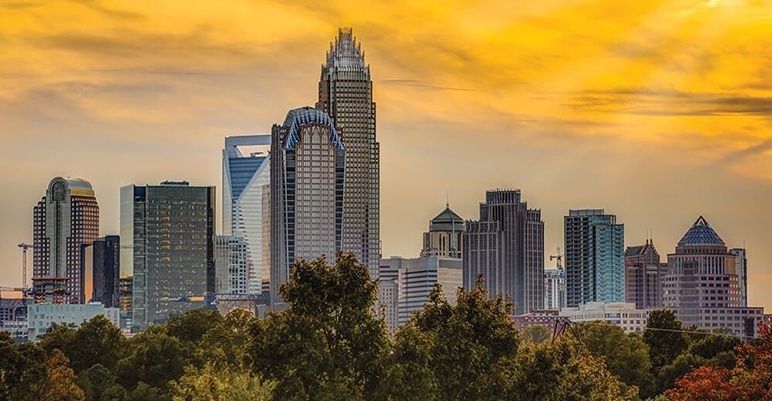 We aim to keep our world-class commercial HVAC technicians at the cutting edge of tools and procedures for installing, maintaining, and repairing the heating, cooling, and ventilation systems in Charlotte’s commercial buildings. That’s why we’re sharing information on the latest in testing and optimization procedures for data centers and other mission critical sites: Existing Building Commissioning (EBCx). In short, EBCx is an organized process for developing a thorough, customized maintenance/repair plan that can ensure minimal downtime and optimal performance for critical facilities. The first phase is truly the most important, as it forms the foundation on which the rest of the process is built. As you can see, the planning phase is a highly collaborative phase in which all stakeholders are heavily involved and open communication is vital. No one can successfully develop an EBCx plan from inside a silo, it’s a team effort. To facilitate the process, the building owner and facility manager are encouraged to set aside adequate time in their own and their staff’s schedules for effective meetings, interviews, and research to be completed. Once the initial assessment and planning is completed, the commercial HVAC services provider is in a position to launch a thorough, customized investigation of current and historical facility needs and usage. The information gathered during this phase will inform immediate and ongoing repair and maintenance needs for the facility. The investigation phase will be as simple or complex as it needs to be to gather all the necessary information to accomplish the established goal(s). It’s not unusual for this phase to last several days, weeks, or more, depending on the amount of information required to effectively do so. Special attention is paid to the CFRs as they relate to the owner’s financial and performance goals as well as established benchmarking, best practices for energy efficiency, and performance criteria for the facility’s equipment. In many cases, CFRs are established and customized for individual zones or spaces within the facility as well. With the first two phases of the EBCx completed, the implementation phase should be relatively simple and straightforward. An implementation plan is developed to accomplish the necessary activities with minimal impact on facility performance. As each activity is completed, testing procedures verify its success and compare actual results with those expected according to the plan. Further fine tuning may be necessary, depending on the outcome. The goal, of course, is to leave the building owner, facility manager, and in-house staff in a position to continue caring for the facility as effectively as possible. While a planned maintenance program through the HVAC provider should be maintained, the bulk of the day-to-day monitoring and optimizing of the building’s systems will be the staff’s responsibility. If you own or manage a mission critical facility in the greater Charlotte, North Carolina area, and you’re interested in learning more about the EBCx process and how it can help your commercial building, contact AirTight FaciliTech today to discuss.